This entry was posted in Uncategorized on October 30, 2016 by Gary. DID TRUMP JUST WIN THE PRESIDENCY? This entry was posted in Uncategorized on October 29, 2016 by Gary. This entry was posted in Uncategorized on October 28, 2016 by Gary. 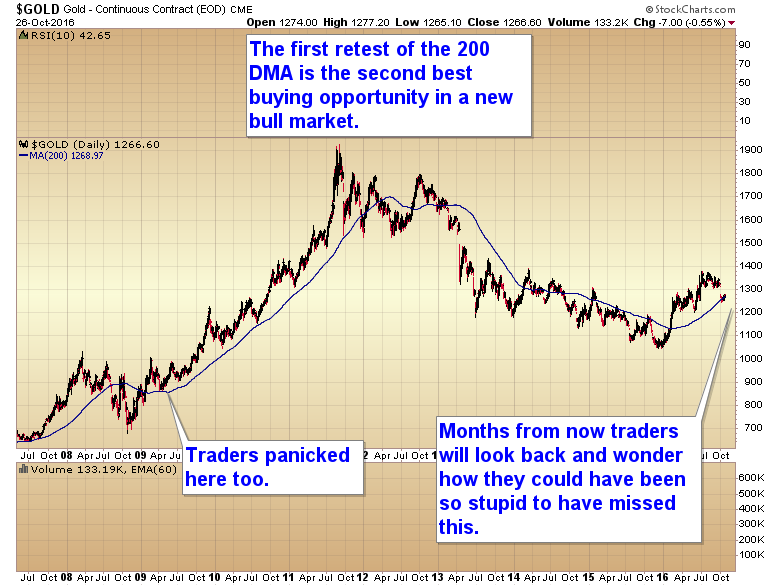 The first retest of the 200 DMA is the second best buying opportunity in a new bull market. This entry was posted in Uncategorized on October 27, 2016 by Gary. This entry was posted in Uncategorized on October 25, 2016 by Gary. This entry was posted in Uncategorized on October 24, 2016 by Gary. USDU is a bullish dollar index ETF. 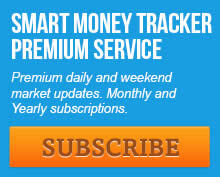 31.37% of its weighting is the EURO. 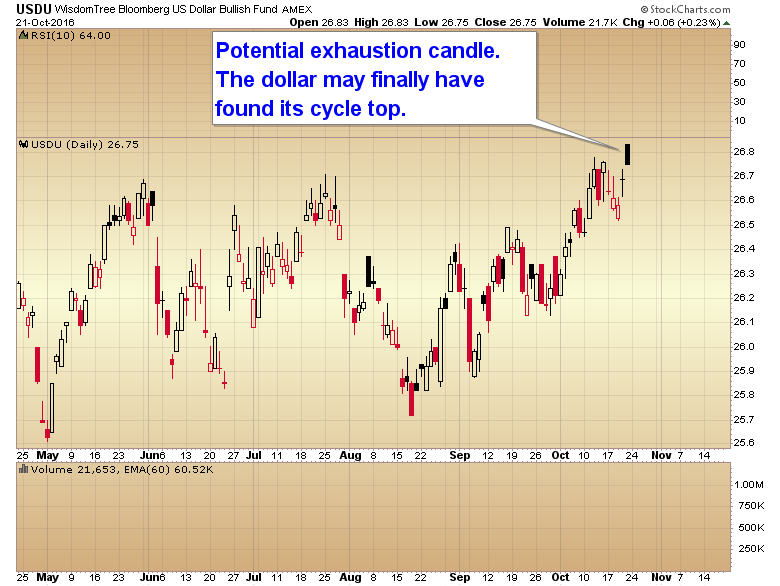 The more commonly used bullish dollar index ETF is UUP. 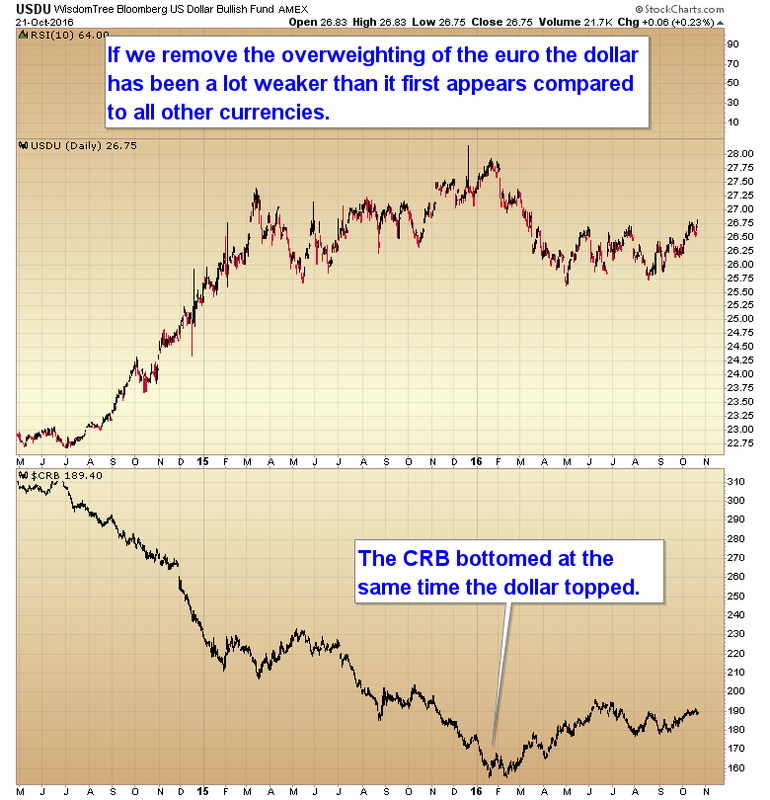 57.60% of its weighting is the EURO. This entry was posted in Uncategorized on October 23, 2016 by Gary. 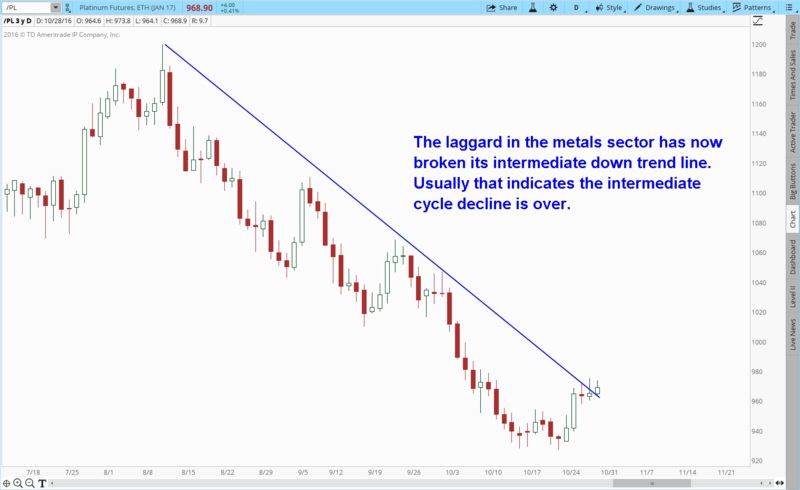 Mining stocks have completed week 1 of a new intermediate degree cycle. 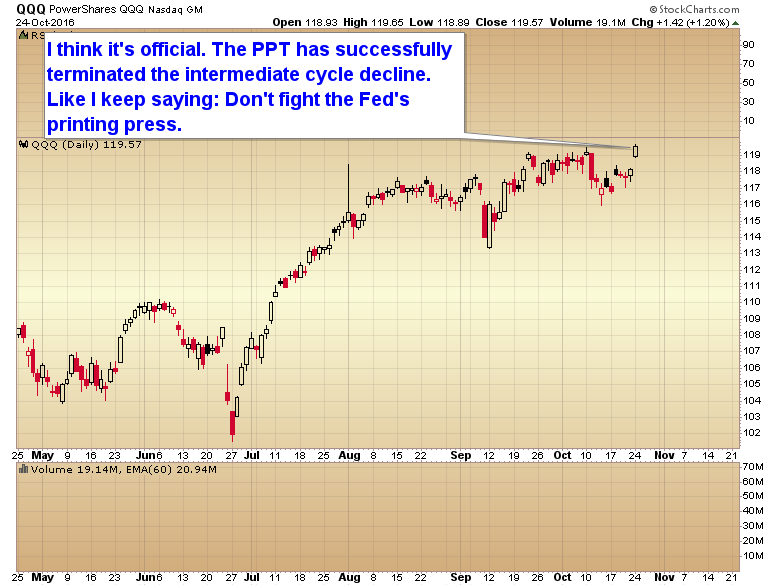 They are now expected to rally for 14-18 weeks. 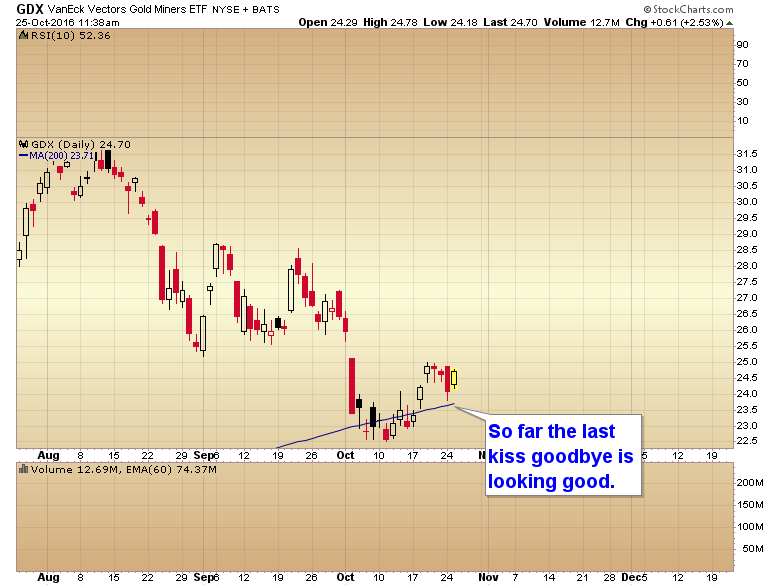 This video discusses the price projections for GDX, GDXJ and JNUG for the upcoming advance. This entry was posted in Uncategorized on October 21, 2016 by Gary. This entry was posted in Uncategorized on October 20, 2016 by Gary.